SKU: N/A. Category: Home Specialties/Auto. 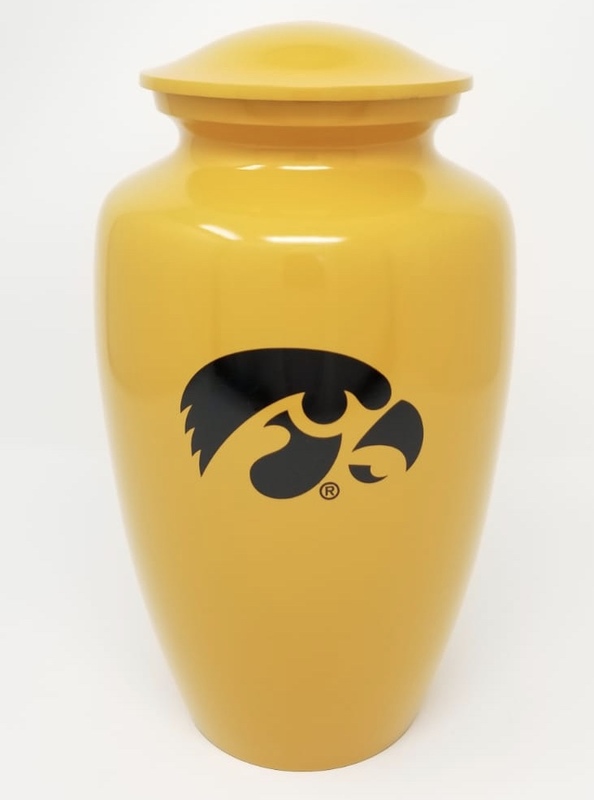 Now available for the first time, Iowa Hawkeye adult size memorial urns for the ultimate Hawk fan. 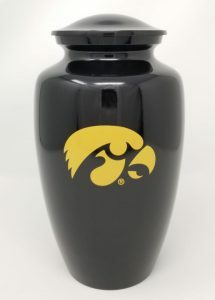 Hawkeye urn are available in either black or gold. Each is made from solid metel and designed carefully with the perfect lacquer coating to preserve its brilliance. Top opening is a threaded lid. Bottom is covered with felt. Urn size: 10" tall. Volume is 200 cu inches – suitable for someone up to 200 pounds before cremation. Set of Four Authentic Seats from Carver-Hawkeye Arena.